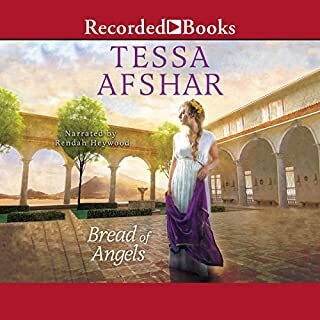 Two women, centuries apart, are joined through a tattered journal as they contend with God, husbands, and even themselves...until they fall into the arms of the One who loves them unconditionally. The 2 Narators complimented the whole story. It came alive to me. Loved every book of hers I've read, and this one was no exception. Truth that I recognise in my own story contained in the captivating stories of Siera and Mary-Catherine. This was such a great story! I would highly recommend it!! I finished it in 3 days! Disappointed its finished!! loved this story. Queen of storytelling. couldn't put it down. Love the history. 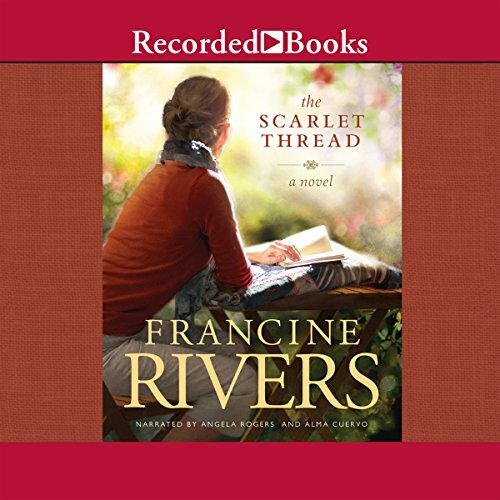 I've read several Francine Rivers novels over the years, and each of them are amazing. This novel is no exception. This novel made me laugh, cry, think, Etc. Both the narrators were fantastic. I've said this before, but I love how Francine's books make you really look at your own life. Even if the story doesn't match your life exactly, you take away something from each novel. 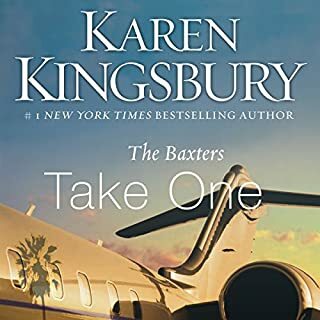 Thank you audible for putting this novel up. I read this book in 2 days. Another five star read from Francine. 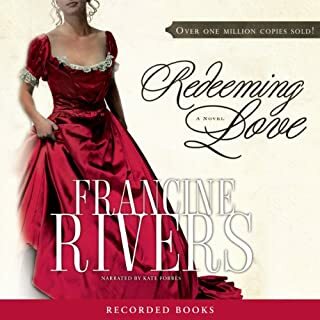 If this is your first Francine Rivers novel, check out Redeeming Love and the Mark Of The Lion trilogy. Francine has yet again outdone herself!!! 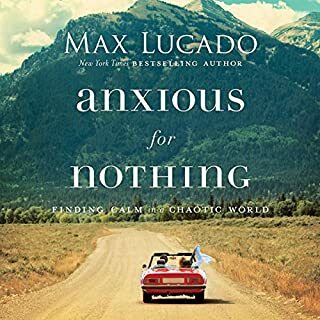 I've read this book a dozen times via audible and each time I am humbled by God's love and grace over our lives. We humans sometimes think that we are in control but the truth is God is the one who orchestrates every event that has happened in our lives, both good and bad. He does this to show you who he is and that he is much big than what we think or have conceived in our minds. This is a great book to read about God, love, faithfulness and mercy. 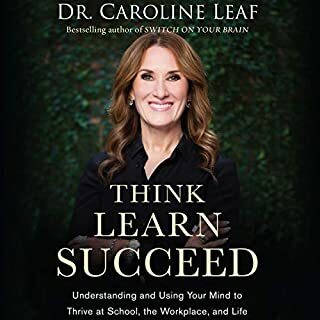 While Francine's other books have the potential for great healing, this one has the potential for deeply wounding readers! The main character believes she is responsible for her husband's sinful choices! If it hadn't have been one woman he was unfaithful with, it would have been another because of HER shameful and sinful actions. With that belief, the husband should have taken blame for the main character's sinful choices as well. The truth is, while we might influence another, we are all free to make our choices, sinful or not; and we are held accountable for our own choices without blaming another. This error in teaching is potentially deeply wounding for anyone who has experienced infidelity. Additionally, the Bible teaches "it is not good for man to be alone, "and that we grow by "that which every joint supplies. " Not that we need a spouse , but neither should we isolate while we heal, for we should "not forsake the assembling of ourselves together." So where does this teaching of "God alone should be enough" come from? I can only think of one enemy who would like us to isolate ourselves! Too much shame and blame in this otherwise fabulous story. I can't put these books down! 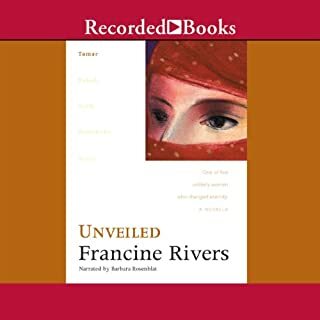 This was the first Francine Rivers book my husband listened to with me as we traveled on a two day trip. 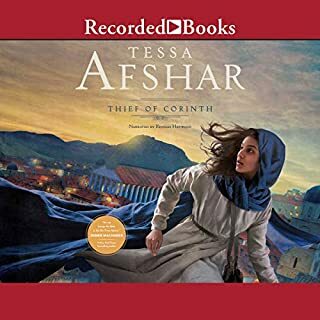 Such s good story and We laughed so hard as the narrator (or narrators) switched back and forth between characters. Ms Rivers always brings the love of Jesus into her books and reminds me to share his love with others. What made the experience of listening to The Scarlet Thread the most enjoyable? 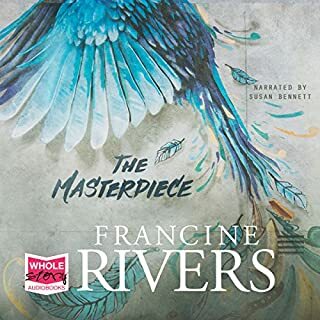 Francine Rivers masterfully sets the stage for a story that a describes the lives of too many of us who get caught up in ourselves and our own desires. She weaves through her tale the historical diary of a woman moved against her will and the painful journey to finding peace through Jesus. The parallel stories are intriguing and a pleasure to read. loved it. francie rivers never dissapionts! Such a beautiful book. 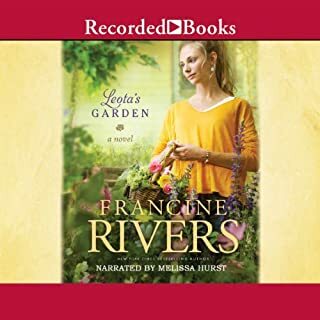 Francine Rivers never disappoints. Uplifting, heart wrenching, truth. I cried I laughed I was shocked 😲. I would recommend this book because it paints a great picture of the dysfunctions in life and the hope that can still be found in ashes. The book weaves in the stories of 2 women, Sierra and Mary Catherine, and though I loved them both, I think Mary was my favorite because I was amazed at the hardship she endured and the evolving change in her heart through self reflection, she was able to put aside self pity which in my opinion she was clearly entitled to if anyone is, and continue to see her own faults and make the best of the situation. Sierra, also had a similar story of enduring hardship and undergoing changes, both amazing characters. What three words best describe Angela Rogers and Alma Cuervo ’s voice? 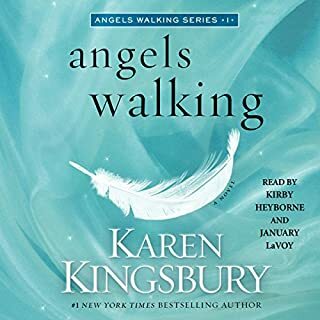 To begin, both voices annoyed me a bit, due to personal preference of other narration styles I have been listening to, however, after listening awhile, both voices seemed appropriate for the story lines. There were some annoying glitches in the sound quality, extra background noises and lip smacking type things here and there, I was able to get past them and they were not too bad, but some of the other narrators I listen to do not have these so maybe I noticed them more easily. 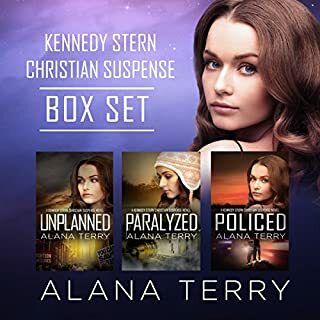 I think it was when Sierra's life began to be settled again, and then was faced with confusion and heartache once more and had to make a decision. The story shows the great humility of Sierra really looking inside to see her own faults throughout the story, and I know that in life when we do this, it is better for us and we may never hear someone who has hurt us fully own their wrongs, but I wanted Alex to fully own his selfishness in the beginning of the book and realize that though he was chasing his dreams, and Sierra recognized she could have been more supportive, reality is he was portrayed as selfish and greedy when the turmoil began, before her lack of support and before his large blunder. He owned his "blunder" but he never owned any of the beginning things that I think set them up for failure. I wish the author had even put one sentence in about how he left Sierra out of all the marriage partnership chasing his dream and acknowledge his selfish greedy ways. This left an internal struggle in me, I kept wanting justice for Sierra in that regard and never got it. Again, I know that is not reality, we don't always get justice and we are still expected by God to see our own faults anyways, but, this is a book and I am coming here to escape some of those realities lol. Yes, I love both stories and readers. Excellent book applicable to old and modern times. Very inspirational, I wanted to read something uplifting instead of the stupid flluff Ive been wasting my time on. My friend said she was a Christian Romance author. I will now read and devour everything she has read. Just bought 3 extra credits - it what this world needs!!! What was one of the most memorable moments of The Scarlet Thread? READ IT was amazing and uplifting!!! The two intertwined stories of Mary-Katherine and Sierra touches so many real life issues. It inspires and makes the reader look deep inside your own soul, to find that the only way a marriage can work is when Jesus is at the centre of it all. The two stories mirror one another bringing joy and heartache to the reader. Varied characters we see around us in daily life with the same issues in life. 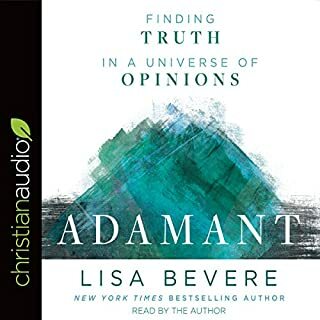 An excellent listen with good performances and accurate use of scripture. If only I could mirror the example set! 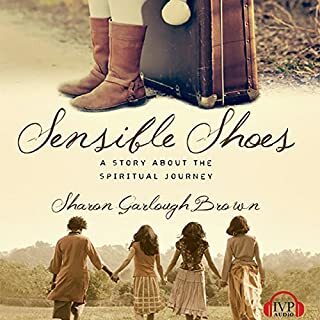 This book is similar to Francine's other love stories although this is a 2 in 1 offer where you get 2 moving stories of life's trials and tribulations set in 2 very different environments but beautifully blended into an uplifting and heartwarming ending. 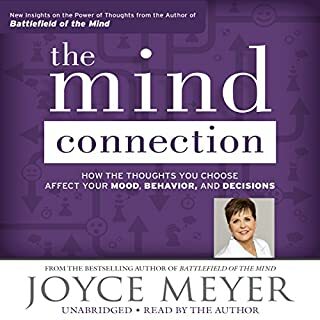 I have found this a very painful book to listen to. My second marriage is crumbling. I relate to so many aspects of many of the characters and storylinesboyh male and female. I feel so ashamed of so many aspects of myself and my life. An abused child, serious acute Snd chronic mental health illnesses and suffering the stigma and judgement added on top of it. Having thought I was doing ok I find I am in a mess again in my life. I have always known of God and I do believe He has been with me throughout BUT I only gave my life to Jesus in 2006 but still feel that I am missing the point somehow. I feel I am being punished, that I am at fault, with all the human damaging character defects of stubbornness and pride, resentment and bitterness and control but also deep confusion as I heard in this. No one in my life has ever admitted the abuse I went through and there has never been any justice or apology of what happened to me. I feel I have forgiven and repented and was healed - I have deep compassion and love in my heart for all those who hurt me but now with the mess of my second marriage the hell stirred up again in a different disguise. Or is it the madness of my mind or my MH that confuses my soul and deceives my spirit. This story has stirred up so much and I have cried and pleaded with God to hear Him clearly. To feel the love that Sierra feels from Jesus as her Saviour and a reconciliation and redemption of me, my life and my marriage. Or am I to continue to suffer until I have learnt a lesson I cannot see. How many rock bottoms do I need to reach a clarity where I am going wrong and how to put it right. Every which way I turn I seem to be blind and deaf. 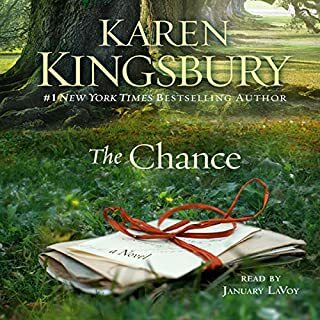 I share a snippet of my story and maybe The Scarlet Thread is part of my teaching as maybe Lineage of Grace and Redeeming Love - all of which have 'happy endings' in love with Christ and husbands. Rivers could help me write my book with this clarity in the conclusion or maybe I will not see it until I meet my maker. Thank you Francine Rivera. You have stirred up my soul and I trust the Lord has spoken through this and your others books. Scriptures, storylines anything to enable me to hear what I need to hear and put it to work in my own life. 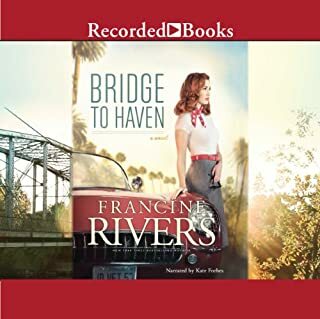 I have always enjoyed reading Francine Rivers books....now I can listen to them whilst freeing my hands..
fantastic book a must listen to. totally engrossed. 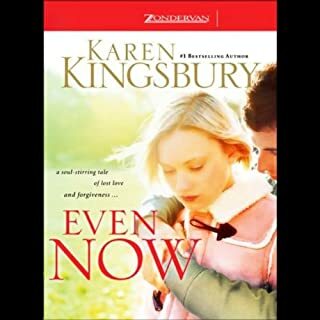 sad and happy .great Christian fiction .